Why doesn't my inventory quantity in QuickBooks Online match Amazon's inventory? We are only able to import data that exists on Amazon into QuickBooks. For instance, if you sell locally or on other platforms, then your inventory count on QuickBooks Online and Amazon will always be different. Similarly, if you utilize Amazon's multi-channel fulfillment, then the inventory counts will be off unless you're creating the sales document for each MCF order. See how SellerZen handles multi-channel fulfillment orders. Some Amazon inventory reports are delayed by up to 24 hours while other reports are delayed by a week. Recent orders may not be reflected in some of these reports. For products that are strictly FBA, inventory counts that don't match up between QuickBooks Online and Amazon can be caused by several factors. Confirm that that the quantity of inventory Amazon received is the same as the quantity you sent. Many discrepancies are a result of what you sent and what Amazon received. 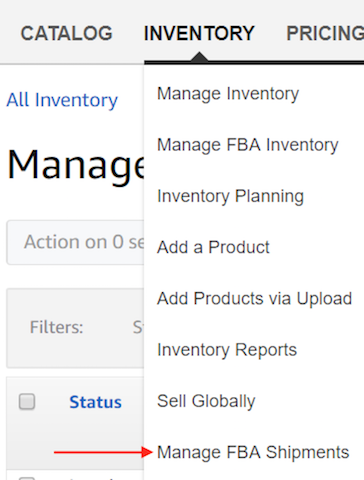 You can check the status of your inventory under Inventory > Manage FBA Shipments. Reconcile the sent and received inventory and resolve any discrepancies. If your QuickBooks Online inventory shows MORE than your Amazon inventory, then Amazon may have lost or damaged your inventory and has yet to reimburse you for it. You may have to wait up to 30 days for Amazon to reimburse you for any lost or damaged inventory. Meanwhile, your inventory reconciliation will be off. If your QuickBooks Online inventory shows LESS than your Amazon inventory, then Amazon has reimbursed, found, or otherwise added extra inventory to your account. This instance is more rare, but it has been known to happen to our sellers. For instance, Amazon may damage or lose an unfulfillable item in the process of filling a removal order. In some cases, Amazon will reimburse you the same item in sellable condition, giving you one more sellable item than you should have had.